Thinking of a cruise this year? Then look no further — Royal Caribbean Cruise Lines has some excellent offers for 2019 sailings. The company is offering free de luxe drinks packages on selected sailings for 2018 and 2019. Book a balcony cabin and receive free WiFi for one device, and if you sail from Southampton it will pay your gratuities. Low deposit and easy payment options are available. 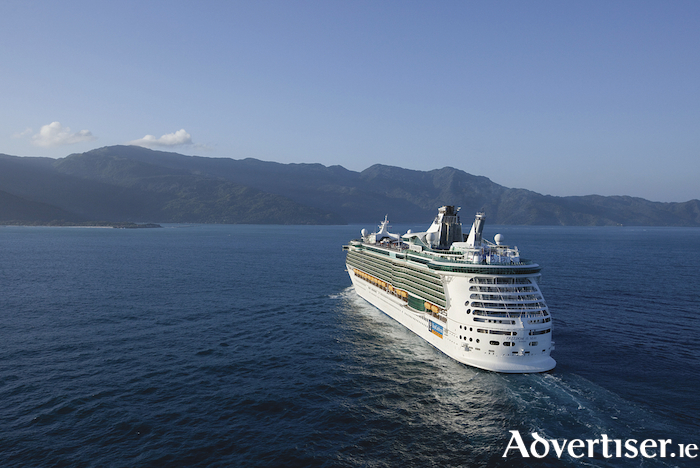 Royal Caribbean sails to more than 260 amazing destinations around the world. From Barcelona to Barbados, Australia to Alaska, the world is your oyster. It has 25 stunning ships, all with unique features and itineraries. These ships offer a huge assortment of amazing restaurants and cafes that cater for every taste, including the first Jamie Oliver restaurant at sea, on board the amazing Anthem of the Seas. There is world class entertainment on board, including award winning West End shows, and unique live action performances that will blow your mind. Shoot down the Zip Line, stroll through Central Park, or down the Boardwalk, and be dazzled at the Aqua Theatre. Catch a wave on the Flow Rider surf simulator, Rock-climb your way to an amazing view, play a round of mini golf, or ice skate in the middle of the ocean. If you prefer to kick back and relax, you can chose from a wide range of facials, beauty treatments, and wellness programmes in the on-board spa. Cruising is fantastic for all the family. Dedicated zones and activities will keep children and teens happy for hours, while there is splashing good fun in the sun at the H20 Zone. The amazing DreamWorks Experience promises favourite characters, colourful parades, and stunning 3D movies. Independence of the Seas has just returned to the fleet following a multi-million dollar refurbishment with new features on board. Fiona and Nicole from the Fahy Travel cruise shop were on board for two days to check out the new features, which include a bungee trampoline experience, water slides, escape room, laser tag, Flow Rider, Playmakers sports bar, and Izumi Asian inspired restaurant. Independence is sailing from Southampton for the summer before she moves to the Caribbean for the winter, operating five night sailings from Fort Lauderdale – perfect for a taster cruise.